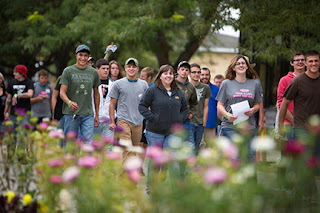 At Northwest, we tell our students it’s “Your future, our focus.” When an institution focuses intently on its students, good things happen: they stay in school and complete their educational objectives; they are continually challenged by faculty who know how to help them get the most out of their classes; they find personal and academic success here at NWC and at the university level. And they succeed in the working world. As a college, our success is measured by the success of each and every one of our students. While we’re busy focusing on them, it’s nice to know others are looking at us and comparing NWC to other colleges. I’m happy to tell you we stack up pretty darn well! This week, the Powell Tribune reported Northwest College was ranked the No. 4 community college in the nation by WalletHub. We don’t measure our success by national rankings, but it’s nice to be able to give that outside seal of approval to our students. Congratulations! Thank you to all NWC faculty and staff for your dedication to students. And, thanks to our larger community for all your support in making this level of dedication possible.